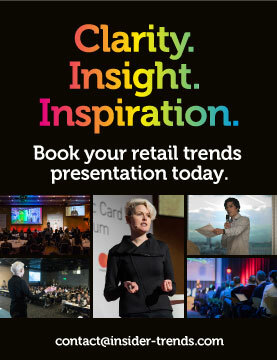 Insider Trends is the retail trends specialist – we deliver retail trend tours, retail innovation presentations, retail industry trend reports and more. What has 40 years of experience taught JHP Design about retail? Forty years is a long time in today’s world. Things seem to change at an ever-increasing pace, especially when it comes to tech, and yet so many core human needs remain the same. Needs that retail design consultancy JHP Design has been helping to meet since before omnichannel and experience were buzzwords. 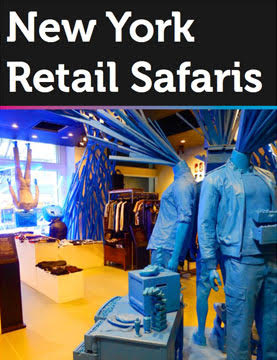 As the company celebrates its 40th birthday this year, it’s clear that its focus on intimately understanding a brand, and a location, is still as important today as it ever was when it comes to creating meaningful retail. What sets JHP Design apart? 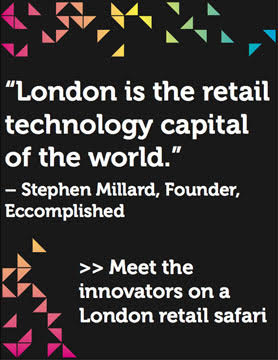 Steve: We work all over the world designing anything to do with retail and leisure. We cover every touchpoint from the website to the store, the packaging, to the service strategy. We’re not wedded to any particular sector, category or positioning. We were once working for Armani and Aldi at the same time. In many ways this is because we see our work as part of our clients’ business proposition. We’re always trying to improve the core model of what they’re trying to do. We don’t see design as some sort of isolated decorative activity. Take Apple stores, they are beautiful places but in many ways what sets them apart is that people can touch and play with every product, nothing is under glass and you can pay anywhere at any time. These big ideas are as important as the grandest of staircases. Raj: When Steve and I took over the business in 2002 we understood that the world was changing around us and that we needed to completely reinvent our approach to the three core commercial elements of Customer, Product and Brand if we were to take our business to another level. What sort of clients are you working with? Steve: Gosh, let me think, Convenience stores in Central America, Duty-free operators in the US, Casual and fast dining brands in California and Milan, Shopping Centre developers in Russia and Austria, Bookstores in Germany, Department stores in Korea and China, Supermarkets in the middle east and much more. This is our 40th year and though much has changed, to quote Mark Twain ‘history doesn’t necessarily repeat itself, but it often rhymes.’ When we worked on Selfridges’ big turnaround in the 90’s it was all about bringing the place alive with experiences. Experience is now very much the word of the moment. Of course Gordon Selfridge was doing all this 100 years ago! 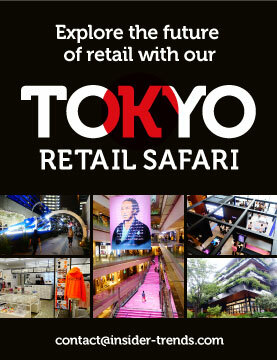 Raj: A few years ago, we worked on a large Shopping Centre and Department store for the Hyundai Corporation. It was the first time we were invited to go to the field where the Centre was going to be built and we were involved from the field to completion. Normally you’re taking on second-hand information from an Architect with a vision (often one that is utterly divorced from the building’s commercial functionality). It was the first project where we could plan the very skeleton of the beast and use meaningful daylight and circulation to enhance the retail experience and customer spend. Steve: We have a lot of friends in the architectural world who have designed beautiful sculptural shopping centres but have never really understood what makes a customer go into a store and pick a product up. We start with what makes people put products in bags. Once you understand that, it’s easy to conceive the store and the building it is in. Analysis is absolutely key. When we go and work in a new market we walk the streets, we go into the shops, see how people eat, dress, how they travel, what stresses them. We’re constantly thinking like a customer. If you understand their wants, needs and desires then you can design solutions for them. We are constantly telling our team – it’s not what you like, it’s what inspires the customers that matters. Did you do anything unusual with the Hyundai project? Raj: We wanted to make it one experience. It’s a very well detailed place, but the thinking goes much deeper than what you see with the eye. Steve: The biggest innovation is that there are no walls between the stores. Every space is designed on an open plan basis. This means you have less thresholds and barriers. Brands can interact and put on events and experiences which make the whole place more of a destination. There is always something going on. Yet all space is rented out. This sort of approach is really difficult for people in the Western Shopping Centre world to get their heads around because they’re constantly looking for boxes to rent out with distinct boundaries and shutters that suit long simple leases. How has the role of the store changed? Raj: Well completely and yet not at all. It is true that stores must be seen as one element within a suite of consumer access and touch points from the APP to the call centre. However the challenges of the physical experience remain the same. You still have to get someone across the threshold. You still have to offer an experience. You still have to display vast arrays of products in the most exciting ways possible. That said we’re working with a client in India who is managing his on-line to physical retail balance where we are looking at two models – one for their business today and one for what that will be in 5-10 years’ time. So we can start negotiating future retail space on what we think is the right level for the future. How far into the future do you have to think when designing a store? Raj: How futureproof can you make something? When we look back at what we’ve gone through in the last 10-12 years. Could anyone have anticipated the effect of the smartphone? Steve: What is changing depends on the category you’re looking at. Fashion is now one of the slowest. It had its great surge in the 80s and 90s with fast fashion coming in and precise positionings for luxury brands. The in-store tech facilities (Magic mirrors, Projected watches, Instagrammable fitting rooms) have all come and gone like so many Hostess trolleys. It has all resolved itself down to the huge catwalk videos you see in everyone from H&M to Prada and yet we did all this forty years ago with the video wall in the Olympus store on Oxford Street (admittedly in a very analogue way!). The world of food that has shifted dramatically. If you go to what was a supermarket, they have built in eating touch downpoints, food that nearing its sell by date goes into ready meals. Then there is biodegradable even edible packaging. Food and beverage has changed radically with the explosion of international affordable casual dining. There is a fascination in delivery methodologies, be it steak on Oak slabs, or sushi conveyor belts or sliders served by louche lads on Skate Boards. 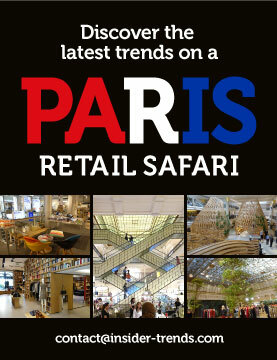 Another area which has exploded is travel retail. We were there when Mrs Thatcher privatised UK airports who began to realise that the only way to increase revenues and shareholder value was through commercial activity. We carried out an exploratory exercise at Heathrow Terminal Four which was an enormous success. This lead to airport commercialisation projects around the world from Hong Kong to Athens and Vienna to Miami. We’ve been working recently on a European transport terminal with 210 million passenger movements through it each year. Any high street would be thrilled to have that footfall. No amount of shopping online compares to that. What’s changed in terms of the client conversations you’re having? Steve: Clients come to us now more for innovation. It’s not good enough to just be a designer with an eye, you’ve got to have ideas beyond that. We even get asked to invent new Categories that we think might sell. Raj: Everyone these days sees themselves as a designer. When clients give you a brief, they flood you with images grabbed from online sites, but everyone is getting the same information. You have to go back to the process, the spirit of the pen and the moments of maverick inspiration that create ideas that resonate across time. Steve: Be prepared for everything to break down. Expect the definition of the difference between the place that you go to buy and where you utilise what you have bought to dissolve and all worlds to become one. Why do yoga in a different place from where you bought your mat? There’s going to be a great breaking down of barriers because that’s how we live our lives. Raj: We’re encouraging our retailers to shed old habits, be bold and trust where the future may take us. If you want more content like this, or to keep up with the latest retail trends, click here to join our community. Is Shopping Fulfillment Center’s combined retail and logistics set-up the model that retail needs? What’s the future of the shopping centre? What’s happening with retail in China? © Insider Trends. All Rights Reserved.